Fibroid During Pregnancy – Should You Be Worried? 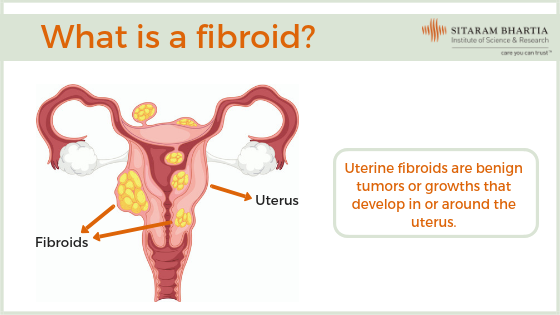 Commonly associated with women of childbearing age, fibroids are non-cancerous growths on the uterus that may be found in 1 out of 3 women. 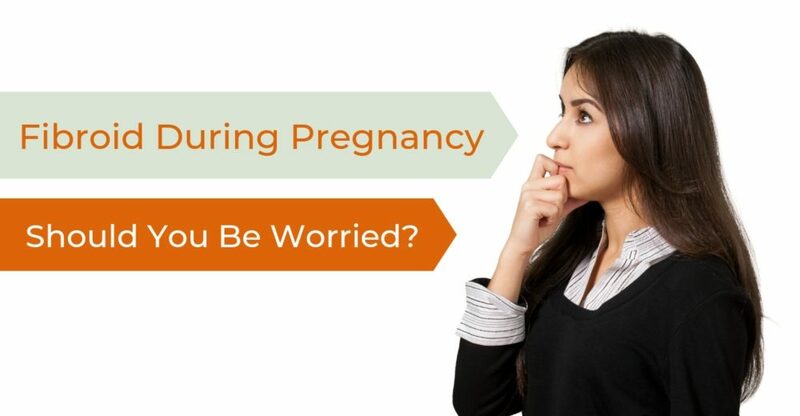 However developing a fibroid during pregnancy can become a cause of concern for worried parents-to-be. Neena Malhotra, 26, was 12 weeks pregnant when a routine ultrasound detected a fibroid on her uterus. She was thus referred to Dr. Rinku Sengupta, Consultant Obstetrician-Gynecologist at Sitaram Bhartia Hospital, for a second opinion.“I was unsure how a fibroid during pregnancy could affect my child so I decided to ask the gynecologist my queries before going ahead with any treatment,” said Neena. Uterine fibroids, also known as leiomyomas, are benign tumors or growths that develop in or around the uterus. “Women are often unaware if they have fibroids since many do not exhibit symptoms,” said Dr. Rinku. Are there any fibroid during pregnancy risk factors? There are no specific risk factors for fibroids. However a familial tendency to develop fibroids is observed among women. Is it dangerous to have fibroids while pregnant? “Can fibroids affect the baby in the womb?” further questioned Neena. “The fibroid has no detrimental effect on the baby,” reassured Dr. Rinku. Occasionally fibroids can degenerate during a pregnancy and cause acute pain. In rare occasions, fibroids located inside the wall of uterus or the cavity may be associated with preterm labour or miscarriage. “Can you have a fibroid removed while pregnant?” asked Neena. Fibroids need not be surgically removed during pregnancy, irrespective of the size. If fibroids cause acute pain during pregnancy, bed rest and pain killers will be advised. Most often, however, fibroids do not cause additional symptoms. Will fibroids affect the mode of delivery? Most fibroids do not affect the mode of delivery. Most women can have a vaginal delivery with fibroids. However if the fibroid is in the lower part of uterus or blocking the cervical canal the chances of a caesarean section will increase. Dr. Rinku’s words put Neena at ease. With her doubts cleared, she looked forward to a healthy uncomplicated pregnancy. If you have doubts similar to Neena’s, don’t hesitate and come in for a consultation with our gynecologists today. Schedule your appointment at 011 – 4211 1111 today.